The Statistical Office of the Republic of Serbia has improved and modernized its work during the “Strengthening the statistical system of Serbia by improving methodologies and standards through the application of good practice” project activities funded by the European Union. 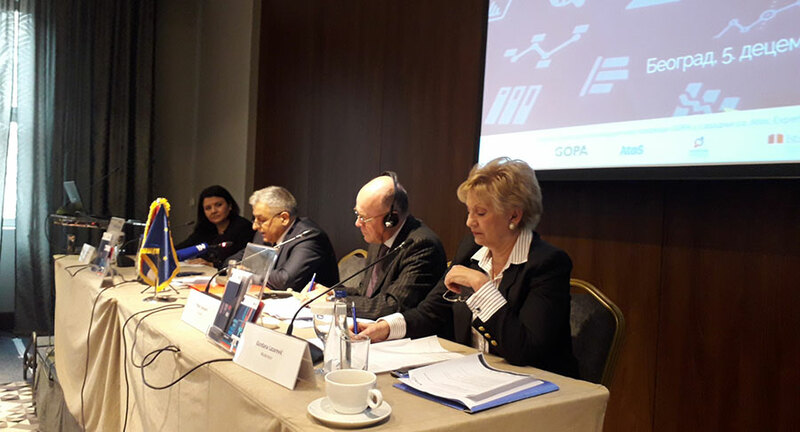 The results achieved over the past 20 months in line with requirements of adjustment of the domestic with the European Statistical System, were presented at a conference held in Belgrade on 5th December 2017. Opening speeches were held by Dr Miladin Kovacevic, Director of the Serbian Statistical Office (SORS) and Mr Pieter Everaers, Director for Cooperation in the European Statistical System, international cooperation and resources, Eurostat. SORS director Miladin Kovacevic said that “there is no longer any obstacle for the opening of Negotiating Chapter 18, which relates to the field of statistics” and expressed his hope that this will happen soon. Peter Everers pointed out the importance of official statistics and challenges it faced in every system. Harmonisations of methodologies, standards and good practices, applied for the production of a reliable statistical basis necessary for Serbian’s social and economic system in view of accession to the EU as well as harmonization of certain statistical areas and indicators that are used as the basis for adoption of public policies in all key areas were successfully done during project activities. With the support of the project, the SORS ICT sector has been modernized, a new web site of the SORS has been created and interoperability has been provided, which involves the exchange of data and knowledge with other institutions and organizations. The project provided the necessary support to the SORS in connection with improvement of the overall system for development of national accounts in accordance with the requirements and methodologies of Eurostat (the EU Statistical Office). SORS is an institution that is also responsible for the production of a set of Indicators of Sustainable Development of the European Union, some of which already exist within the statistical system. Along with the project activities, 104 indicators were collected from possible 135 (at the moment, Serbia has about 80% of indicators that enables monitoring of sustainable development). The project also contributed to the fulfillment of obligations under the EU negotiating chapter 18 for the field of statistics, and in addition to this chapter, official statistics should also provide data for 16 other negotiation chapters (out of a total of 35), especially in the fields of economy, finance, agriculture and regional policy. The progress of any country in process of European integration is measured exclusively on the basis of official statistical data. As the EU’s acquis is in constant development, it is necessary that the Serbian statistical system become strengthened to be able to monitor changes within the European Statistical System, but also to respond to all the challenges that stand not only in terms of statistics, but also are important for whole process of negotiations for EU membership. The EU previous has also donated 600,000 ЕUR to the SORS (data center, PC and other IT equipment to its main office and regional departments) which is of great importance for implementation of the project. Recently the EU has awarded grant of 2.2 million € for the SORS which shall further ensure the implementation of the Farm Structure Survey. The EU will continue to provide support to the SORS in future. 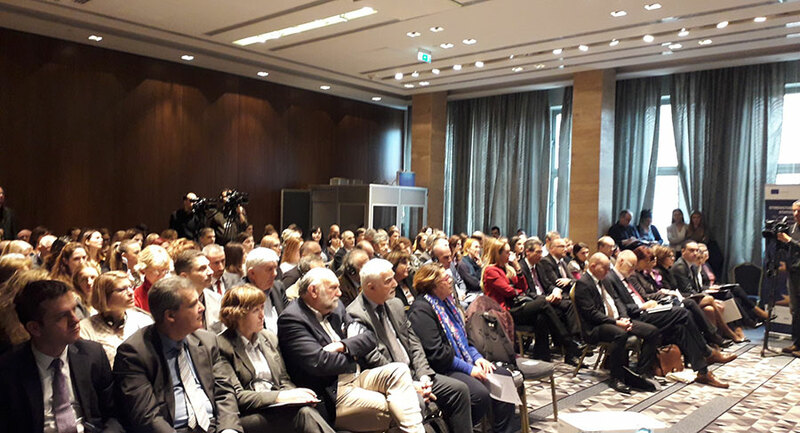 The conference was attended by representatives of the Delegation of EU to the Republic o Serbia, ministries, international organizations, regulatory bodies, scientific institutions as well as representatives of the chambers of commerce and business associations. The project was funded by the European Union with EUR 3.5 million, and it was realized by a consortium led by the German company GOPA.